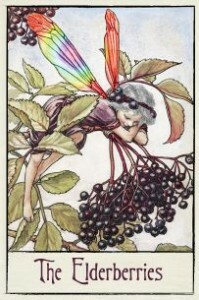 Elderberries is a social group for LGBTs aged 50+. Could you be an NSRAP Elderberry? Are you fifty or older; lesbian, gay, bisexual, trans, or two-spirited and looking for a mixed social group beyond the bar scene? NSRAP Elderberries may be the group for you. Not from Halifax? Join anyway: many out-of-town members enjoy our newsletters. There are now more than 100 members. Elderberries meet monthly, usually on Sunday, in a wheelchair-accessible location. A social follows each program, with a potluck provided by the members, featuring a mix of home-made or store-bought main dishes, snacks, or sweets. Coffee and tea are provided. Meetings are alcohol-free, scent-free, and pet-free. Assistance dogs are welcome. Monthly newsletters tell members about upcoming programs and other events. Members who are not online are notified of the socials by telephone. The Elderberries have provided a contact point for researchers doing work on LGBT health and history : for example, the Hello Sailor! exhibit on LGBT seafarers at Maritime Museum of the Atlantic; an oral history project about Citadel Hill; and the Dalhousie Health Mentors Program. Nova Scotia Rainbow Action Project frequently draws on the Elderberries for feedback on elders’ issues. For example, Elderberries have assisted in the development and presentation of a training document on long-term care. Membership is free: to join, send an email to elderberries.scotia2@gmail.com. You can also sign up at any Elderberries event. Our membership list is kept confidential.